Magic The Gathering, Mystery Rare Card Lotto, Chance to win Black Lotus!!! 100 MTG Magic: The Gathering ALL RARES Collection Lot! Mint! RARES ONLY! There will be very light duplication (if any) and over 90% will be in near mint/mint condition (if not all of them). Don't miss this deal! 100 Magic: the Gathering Rares. Rares Only! 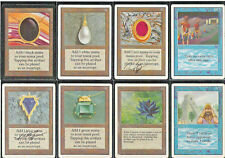 500 MTG Rares. TWO (2X) ULTRA RARES PER LOT! FREE WORLDWIDE SHIPPING!! When the teams put their moves into motion, it's a total free-for-all. Cards in Near Mint condition show minimal to no wear from shuffling, play or handling and can have a nearly unmarked surface, crisp corners and unblemished edges outside of a few minimal flaws. Near Mint (NM). 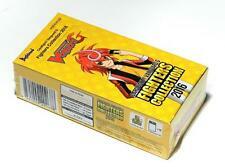 (Deck Boxes, Sleeves, Binders, Card Lots, Etc.). These are limit 1 per account. Cards in Lightly Played condition may have minor border or corner wear or even just slight scuffs or scratches. Near Mint (NM). Condition Grading Scale. Cards in Heavily Played condition show a severe amount of wear. 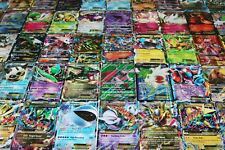 Pokemon Cards ~ 20 Card Energy Lot ~ RARE/Special Energy ~ FREE Shipping & FAST! 20 Random Energy Cards. Energy can be from any set but mostly from the newer sets. 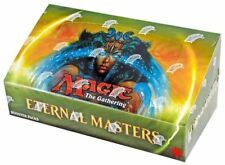 MTG Magic: The Gathering Booster Repacks w/ RARES Cheap Lot Great for Drafting! • 2 Rares! 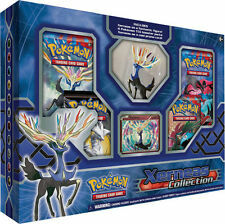 • Beta through Most Current Sets pulled randomly (Older cards do not have gold/silver symbols for rarity). • 7 Commons! Cards in Heavily Played condition show a severe amount of wear. Heavily Played condition can include cards that have major creasing, major whitening, major border wear or any combination of those flaws. 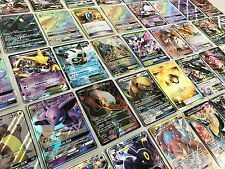 ⏩ POKEMON PREMIUM CARD LOT ⏪. These are pictures of the ACTUAL CARD/S you will receive. Near Mint (NM). Cards in Lightly Played condition may have minor border or corner wear or even just slight scuffs or scratches. Condition Grading Scale. Cards in Heavily Played condition show a severe amount of wear. Near Mint (NM). Single Card Orders The Picture in the photo is of the item(s) that is for sale. If the item has "x4" in the title then you will receive 4 copies of this item. Cards in Lightly Played condition may have minor border or corner wear or even just slight scuffs or scratches. Near Mint (NM). Cards in Near Mint condition show minimal to no wear from shuffling, play or handling and can have a nearly unmarked surface, crisp corners and unblemished edges outside of a few minimal flaws. Near Mint (NM). Single Card Orders The Picture in the photo is of the item(s) that is for sale. Cards in Lightly Played condition may have minor border or corner wear or even just slight scuffs or scratches. Edition: Champions of Kamigawa. Near Mint : Cards in Near Mint condition show minimal to no wear from shuffling, play or handling and should have an unmarked surface, crisp corners, and unblemished edges outside of minimal handling. Mint/NM= Near Mint - these cards will have little to no visible play wear. 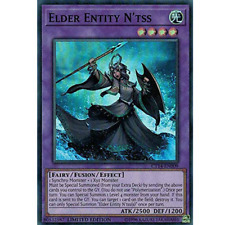 If 2x is listed in the title = (2) of the card. It is NOT A physical card! This is for 30 Random Pokémon cards with 4 Rare/Holo. High quality power 9 set for playtesting only. 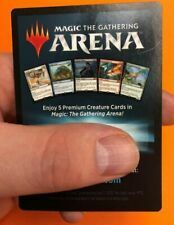 Code from 2018 Gift Pack to unlock "5 premium Creature Cards in Magic: The Gathering Arena!" Code will be delivered via email. The M19 'Planeswalker Deck Only' and 'Deckbuilder's Toolkit' cards are not included in this bundle as the only way to acquire them is in the Planeswalker Decks and Deckbuilder's Toolkit. They are not in normal M19 boosters and they are/were not redeemable. 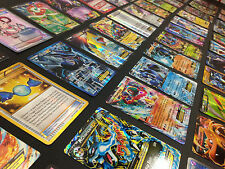 Pokemon TCG. Lord of the Rings TCG. 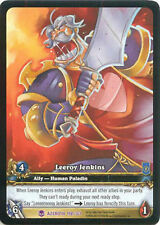 World of Warcraft TCG. Pokemon TCG : UNBROKEN BONDS. Your #1 online source for. 100 X CODE CARDS. Warcraft Minis. WizKids PocketModel. NM - Near Mint. HP - Heavily Played. X2 Raidraptor - Last Strix (WIRA Common). x2 Raidraptor - Fuzzy Lanius (WIRA Common). x2 Raidraptor - Skull Eagle (DOCS Common). x3 Raidraptor - Mimicry Lanius (CROS Common). x3 Raidraptor - Sharp Lanius (CROS Common). High quality Dual Land set All 10 for playtesting only. BRAND NEW! BEST PRICE & #1 VALUE! FREE SHIP + HOLOS! 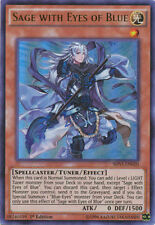 Dragon Shield Gaial Art Sleeves Sealed 100 Count Pack! Limited Edition! Edition: Legions. Lightly Played : Cards in Lightly Played condition may have minor border or corner wear, or even just slight scuffs or scratches. There are no major defects. Foils in Lightly Played condition may also have slight fading or signs of wear on the front of the card. Shows minor to moderate surface/edge wear. Shows moderate to major surface/edge wear. Near-Mint or better ( NM ) The picture is a. buying the card(s) as described in the. (scratches, scuffs, and whitening along back edges even more noticeable. ). YuGiOh! Chaos Emperor Dragon - Envoy Of The End JUMP-EN086 Fast Shipping! HOT!!! Chaos Emperor Dragon - Envoy of the End JUMP-EN086 x1: New. The card will be placed in a clear sleeve, then in a toploader, and lastly in a bubble envelope, with "Do Not Bend" and "Fragile" stamped on both sides of the bubble envelope. Yugioh Complete Lair of Darkness Virus Deck + Ultra Pro Sleeves! Tourney Ready!! Yugioh Complete Dark Magician Deck + Ultra Pro Sleeves! Tournament Ready! Holos!